Meganthropus palaeojavanicus (from the Ancient Greek, meaning Ancient Java’s Great Human) is a redundant genus and species that was first formally introduced by Gustav vonKoenigswald (1902 – 1982) in 1950. The genus once referred to a set of fossils found on the island of Java in the 1930’s, 1940’s, 1950’s and 1980’s. The Javan fossils are now attributed to the hominin Homo erectus that lived from 1.9 million years ago to 300,000 years ago and had a range from Africa to Eurasia. 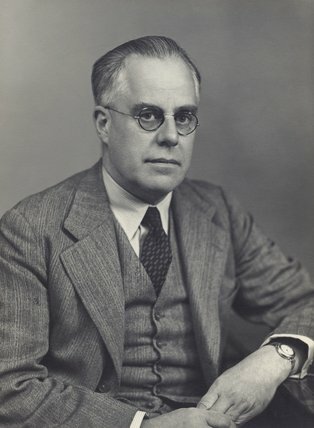 On the 15th of January 1942, the Director of the Geological Survey of the Netherlands Indies, W. C. B. Koolhoven wrote a letter to anatomist and palaeoanthropologist, Franz Weidenreich informing him that vonKoenigswald wishes the 1939 and 1941 to be attributed to a new genus and species of ape called M. palaeojavanicus. In 1945, Weidenreich referred to it as “vonKoenigswald’s Meganthropus palaeojavanicus”. Held in the Senckenberg Forschungsinstitute und Naturmuseum, an unpublished 1949 scientific paper written by vonKoenigswald proposes that Sangiran 1a, It was not until 1950, the vonKoenigswald committed his new genus and species to print in a formal introduction. As the sixth decade of the 20th century developed, consensus shifted towards H. erectus as the taxonomic appellation of the Javan fossils. Kromopawiro (a team member) discovered the fossil adult mandible fragment “near Glagahombo, north of Sangiran” not far from where another cranium was uncovered in 1939 and south of Sangiran 4’s location. 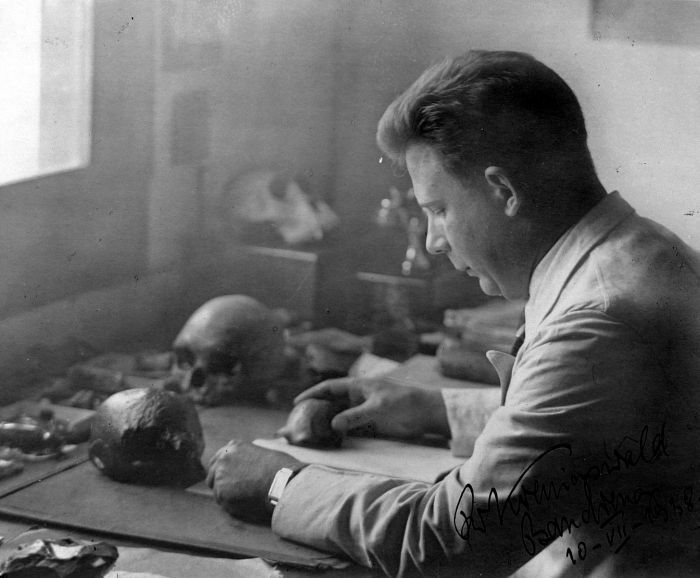 Weidenreich described the 1.6 million year old fossil in 1945, in which he pointed out the size of the mandible and the primitive premolar morphology as evidence to support the application of a new genus and species – M. palaeojavanicus. This conclusion was revised in 1989, when Kramer concluded that the size was within the size range of H. erectus. Dating to between 1.51 and 1.6 million years of age, Sangiran 7 (comprising 54 teeth) was recovered from 1937 to 1941. Fred Grine analysed some of the teeth in 1984, but it would be a decade later before he revised his earlier conclusion that they were hominin. As a result, three teeth FS 67, 72 and 83 were re-attributed to Pongo sp. Uncovered in 1952, Sangiran 8 comprises fragment of mandible, with some teeth roots intact and a complete third molar crown. This individual is interpreted to have died in the jaws of a crocodile, based upon the scare marks on the fossil. The fossil was first described in 1953 by P. Marks concluding it lay outside the size range of H. erectus. In 1955, Le Gros Clark concluded that the fossil was within the range of H. erectus and that has remained the official attribution for Sangiran 8 ever since. This partial adult cranium was first found in 1978 near Sangiran village, north of the River Chemoro and it was found as construction was underway on a new dam. The skull was found in the upper levels of the Sangiran Formation dating to between 1.66 and 1.58 million years of age. The fossil was described by Teuku Jacob in 1980, in which he attributed it to Meganthropus but was taxonomically revised in 2008 for reasons similar to the taxonomic revision of Sangiran 8. Indriati and Anton (2008) also noted that hyper-robust features of the fossil reflects earlier representatives of H. erectus. 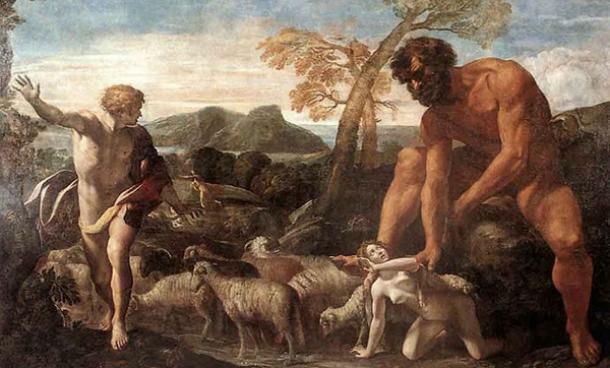 Though taxonomically and scientifically redundant, Meganthropus is used by pseudoscientific Creationists as evidence for the Nephilim, giants that lived before Noah’s flood, referenced from an Iron Age manuscript called the “Book of Enoch”. A trickle of scientific papers and posters have been published and presented over the decades, claiming evidence for Meganthropus. Authors have suggest that Sangiran 5 is evidence of the existence of an older, “more robust morph”, with pongo-like characteristics. Suggesting that a Gigantopithecus-like counterpart lived in island South-East Asia. The most recent appearance of support for Meganthropus was at the 83rd annual meeting of the American Association of Physical Anthropologists in 2014, a team of scientists led by Clement Zanolli presented a poster on their analysis of a fossil mandible fragment code named Arjuna 9. They suggested that teeth had enamel thickness and dental tissue proportions that differed from those seen in H. erectus. The statistical analysis of the enamel-dentine junction also seemed to support an attribution to Pongo sp. The fact remains, no evidence exists to support classifying the Javan fossils as Meganthropus.